the largest specialized distributor of Irish and Celtic music, offering secure online sales from our catalog of over 300 CD's and DVD's. DISCOUNT SPECIAL TWO $16.00 CDs FOR $30.00. All online orders placed on this site are processed securely with SSL encryption. Your credit card & personal information remains private and strictly confidential. Tommy Fleming has many times been described as the "Voice of Ireland" and is one of Ireland's top entertainers. This 3 CD collection contains 40 songs from throughout Tommy impressive career. Solos on Irish favorites such as: The Isle of Inisfree, Clare to Here, Song for Ireland,The Contender, Only Our Rivers Run Free are combined with fourteen duets including Steal Away with Phil Coulter, Fare Thee Well Love with Eleanor Shanley, Rose and Briar with De Dannan and You've Got a Friend with Cara Dillon. For other CDs by Tommy see the online catalog. Damian McGinityrejoins his band-mates Ryan, Michael,Emmet & Neil tolaunch the 10thAnniversary ofCeltic Thunder.These are all brand,new recordings. Thefirst disc containsrish favorites likeGalway Girl, I Useta Love Her, Wild Rover, Lannigan’s Ball and Castle on a Hill. On the second disc the band takes on pop favorites: Season in the Sun, I’m a Believer, On the Street Where You Live, The Devil Went Down to Georgia and others. The DVD was filmed at the Helix Theatre in Dublin. The brand new Celtic Woman CD just released was recorded live at 3Arena, Dublin's finest music venue, This CD contains 16 outstanding tracks which wonderfully display the womens talents. Old favorites, Dulamin, Danny Boy ,You Raise Me Up, are given a fresh approach. Songs new to the album,Walk Beside Me, Fields of Gold, The Voice are certain to become favorites. This album will be featured on PBS performances and during their North American tour which begins March1 in Lakeland Fl. and continues through June 17 in Rosemont, IL. - certain to bring them to a theater near you. Ireland's favorite folk band performs upbeat versions of traditional ballads including: Follow Me Up to Carlow; Schooldays Over, Spancil Hill, Kelly the Boy from Killane, Ride On and Nancy Spain. They strike a more appropriately solemn tone on Grace and the anti-war ballad, The Green Fields of France. They pay tribute to American folk with Goodnight Irene. Their brilliant multi-instrumentalist support of these tracks confirms their solid roots in Irish traditional music. This soundtrack of Daniel's latest PBS Special features guest stars Mary Duff and Derek Ryan. Highlights include: The Galway Shawl, Pretty Little Girl from Omagh,The Boys from KillybegsHome to Donegal,Tipperary Girl, How Great Thou Art amoung the 32 tracks on this double CD. Phil preforms a selection of his fifteen favorite Celtic melodies. Of these nine are piano solos, on which he shows how the beauty of the tune is enhanced by the sound of his piano styling. From the martial, The Minstrel Boy through the soulful, My Lagan Love to the beautiful folk ballad, My Love Is like a Red, Red Rose, nothing comes between us and his piano. Phil is joined in instrumental duets by Billy Connolly (autoharp) - Rowan Tree, Finbar Furey (pipes and whistles) - The Praties They Grow Small, Moya Brennan (harp) - The Lass of Augrim and Paul Brady (whistle) -Farewell to Inishowen. A must for Phil's many fans. Red Hot Chilli Pipers latest CD features tiier take on Wild Mountain Thyme among its 14 tracks. Sure to be a big hit for lovers of "bagrock." See the Online Catalog for other Pipers' CDs. Although they have firm roots in Boston, Dropkick's appeal is worldwide. Their new album opens with Finbar Furey's The Lonesome Boatman, with their voices substituting for the whistle. Barroom Ballads - First Class Loser and I had a Hat are backed by their Irish instrumentation. The song 4-13-15 is a salute to the victims of the Boston Marathon bombing. The album closes with the anthem, Till the Next Time. 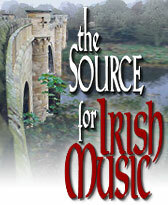 An all instrumental collection of Irish tunes played on harp, fiddle and whistle. Van is in a reflective mood on his 36th studio album. Jazz and blues influences support his eleven original compositions. He remembers San Cooke on In Tiburon and his childhood days in that County Down seaside town in the song, Going Down to Bangor. Brilliant vocals highlight Everytime I See a River and Memory Lane. Van requests keep me singing and we hope he does! The title refers to Sark, a tiny channel island, where the surface light is deliberately kept so low that the sky is dark and a maximum number of stars can be seen. This ethereal combination of sea and islands with sky and stars is the inspiration for Enya's eighth and most recent a;bum. Seven years in the making the craftsmanship and music is as brilliant as ever. A sure seller for all of Enya's fans and a great followup for those introduced to her through "Best of Enya." A terrific collection of Irish songs performed by Ireland's best loved vocalists and ballad groups - this was the golden age of Irish music. Paddy Reilly, Johnny McEvoy, Jim McCann, Sean Dunphy, Brendan Bowyer, Dublin City Ramblers and Barleycorn. During his long career Daniel has recorded hundreds of songs. In addition to Irish ballads, he sings American Country, religious hymns and spirituals, and pop spmgs of the late '50s and early '60s. 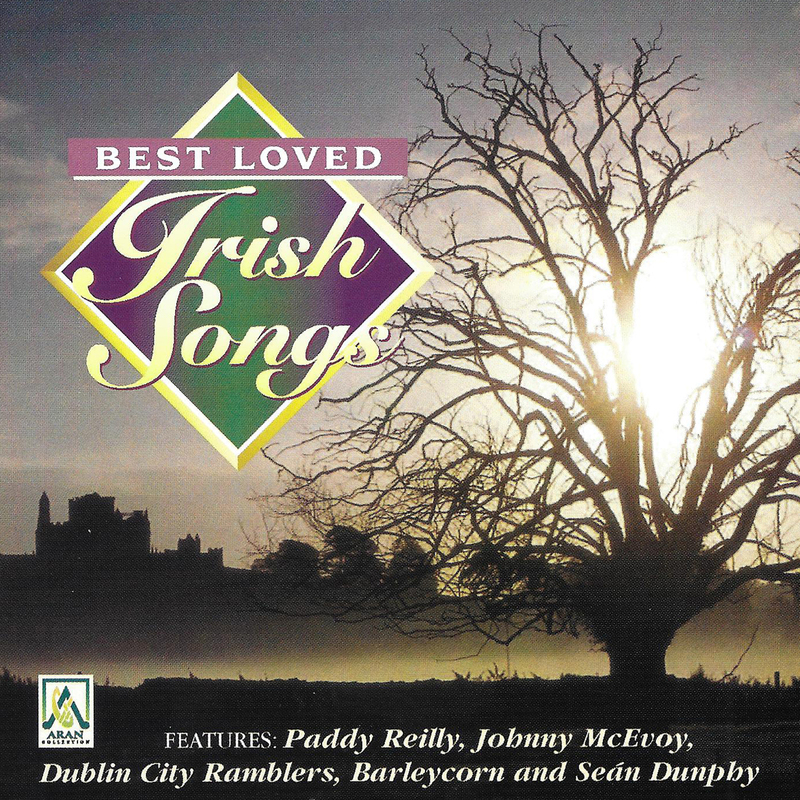 But this albums features only songs of the Irish people and country that he loves - Dublin, Antrim. Tipperary, Galway. Clare, Sligo, Limerick and his beloved Donegal. Tommy's latest CD celebrates the 25 years since his first recording, The Isle of Innisfree. It is not,however, as simple as a greatest hits CD. The very first track, Stories was just written by Paul Brady and recorded for the first time by Tommy to open this double CD. All 32 tracks are new recordings and the brillance of Tommy's voice has not diminished a bit since he received two standing ovations at Phil Coulter's Carnegie Hall show in 1992. - a show it was my great pleasure to produce. Each track has a special place in Tommy's story and he recounts them in the liner notes, which explains the "booklike" packaging. Special highlights include The West's AwakeJohn O'DreamsThe Night Visiting Song, The Town I Loved So Well and The Fool Who Lost It All (from "Paddy": the musical play he co-wrote and starred in last year. For other great CDs by Tommy, check out the full catalog. Going back to the blues and early rock sounds that formed his vocal style, Van delivers the goods on his 37th CD. His performance combines originality with respect for the songs and singers that influenced him as a young performer. Highlights include: Sam Cooke’s Bring It on Home to Me, Bo Diddley’s Ride on Josephine, and Lightin’ Hopkins’ Automobile Blues. On Count Basie’s Going to Chicago, our favorite, he is joined by rock great, Georgie Fame. Five originals among 16 tracks. Imagine you received all the fabulous gifts in the song, The Twelve Days of Christmas. 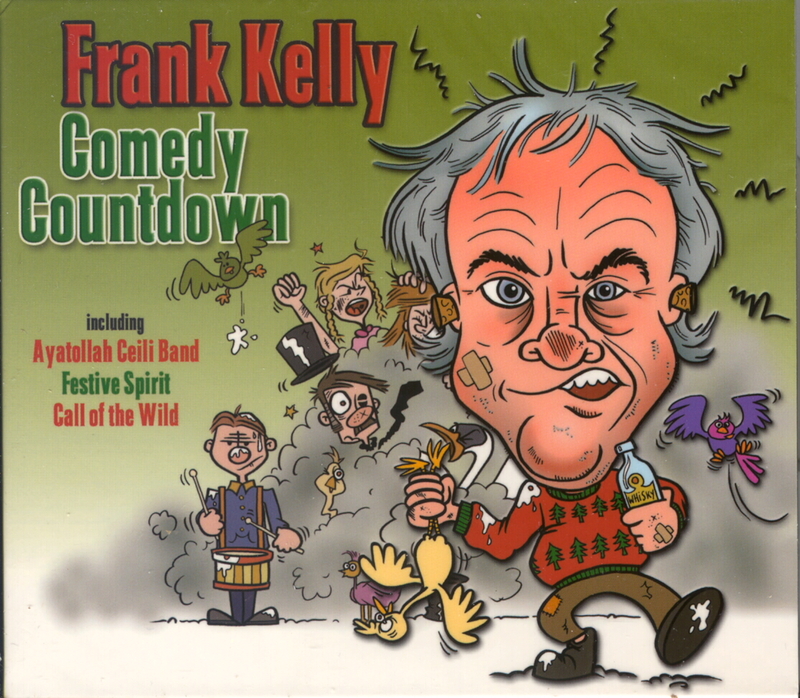 In his comedy classic Frank Kelly does just that, and the result is his classic holiday tale “Christmas Countdown.” Between the aggressive geese and the leaping Lords, the hilarious events have brightened many a Christmas. Kelly spins nine other great Irish stories on the CD. The current Celtic Woman line-up of vocalists: Mairead Carlin, Eabha Mc Mahon and Megan Walsh perform under the vocal direction of original member, Meav. Their stellar voices perform classic Irish ballads including Tommy Sand's County Down and Sean O'Riada's Mna Na hEireann (Women of Ireland) as well as the upbeat New Age titles, like the title track, Ancient Land and Follow Me, for which Celtic Woman became famous. Mairead's rendition of Robert Burn's lyrics on Ae Fond Kiss are stunning. Violinist, Tara McNeill solos on the soulful Love & Honor as well as the upbeat, Tara's Tunes.This CD is an outstanding add on to Celtic Woman's long discography. Celebrating 35 years of recording together, Cherish the Ladies, traveled to County Clare to record this album and while there, were joined by Nolaig Casey, fiddle and Trevor Hutchinson, upright bass. The album covers the full range of Irish tunes - jigs, reels, marches, hornpipes, airs and waltzes - all played to perfection. Songs by Kate Purcell, Glenties; Nathan Carter, Heart of the Home; Molly O'Riordan, The Little Thatched Cabin; Don Stiffe, Shadow of the Singer and his Song and The Ennis Sisters, Ambletown add vocal charm to the album. A fabulous CD everyone will enjoy.